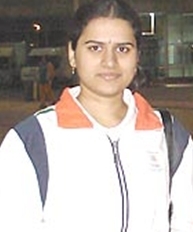 World No 4 Koneru Humpy pulled off a great win using an unusual opening move with black and rounded off a very successful tournament with a share of the first place at the FIDE Women Grand Prix Chess in Kazan, Russia. She was tied at 7.5 points with the higher rated Anna Muzychuk of Slovakia. The Grand Prix Chess 2011-12 is a series of six tournaments and the Kazan event was the fourth. World champion Hou Yifan won the first two and then Zhao Xue, another Chinese player, won the third. After this fourth Grand Prix in Kazan, the last two are in Jermuk, Armenia, and Istanbul, Turkey. Humpy was sixth in the first event in Rostov, Russia, and did not play in Shenzhen, China, and Nalchik, Russia. Humpy, who had a share of the lead with two others after the penultimate round, beat Alisa Galliamova in the final round, while co-leader Anna Muzychuk beat Nadezhda Kosintseva. Humpy and Muzychuk were the only unbeaten players in the tournament and both had four wins and seven draws each for a total of seven and a half points each. Humpy made the big surge in the last four rounds with three wins in the eighth, ninth and 11th rounds. Her wins in the ninth and 11th came with black pieces, though the last win was lucky. Viktorija Cmilyte, who was also on 6.5 points after the tenth round played a draw with Antoaneta Stefanova to finish on seven. Hou Yifan, who was fourth after 10 rounds beat Elina Danielian in the final round to get to tied third with Cmilyte with seven points. In the 11th and final round, Humpy, with black pieces, replied with an unusual e6 in what is sometimes known as the Franco-Sicilian defense. The game was fairly equal after 25 moves with white in no danger, but then Galliamova blundered and lost. The Russian resigned on the 34th move, giving the Indian the full point and a share of the first place. Considering her recent rating going down to 2589, the latest performance which had a rating of 2643, Humpy should gain some valuable points and get back closer to 2600. November 2011, but has since slipped to No. 4. This win should see the start of a climb back. Polgar leads the women's world ratings at 2709, while the current world champion Hou Yifan is second at 2623. Muzychuk started this event in third place at 2598 and Humpy was fourth at 2589. Earlier in the 10th round, Cmilyte won against Nadezhda Kosintseva and replaced the then leader Elina Danielian, who was defeated by Alisa Galliamova, who had lost four previous games. Anna Muzychuk and Humpy Koneru played draws against Hou Yifan and Alexandra Kosteniuk in the 10th round.